The Rakeahua valley doesn’t have many obvious campsites, except for this one. It’s either soggy underfoot, or sloping, or covered in crown fern, or the nearby water is not flowing, ie, a bog, or all of the above. This delightful spot is about halfway on the eight-hour tramp between Doughboy and Rakeahua Huts, and that might be useful to know. 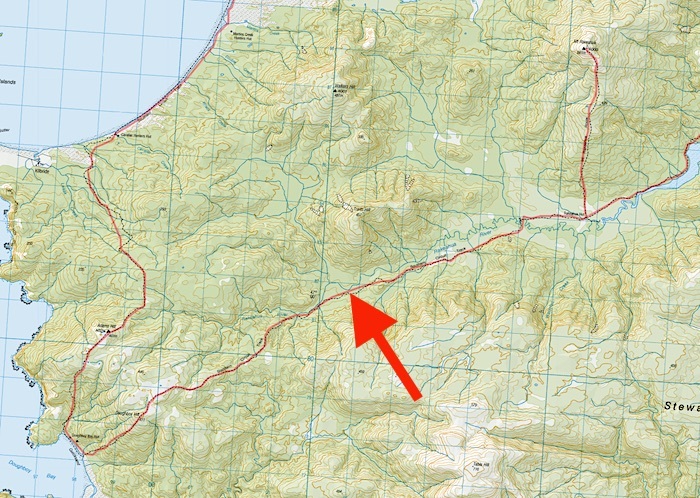 Arrow points to location, right where the river and track coincide.